Atlantica Tropical Suites are located within the Atlantica Holiday Village Rhodes with an exclusive pool area, pool bar, buffet breakfast restaurant and an a la carte restaurant. 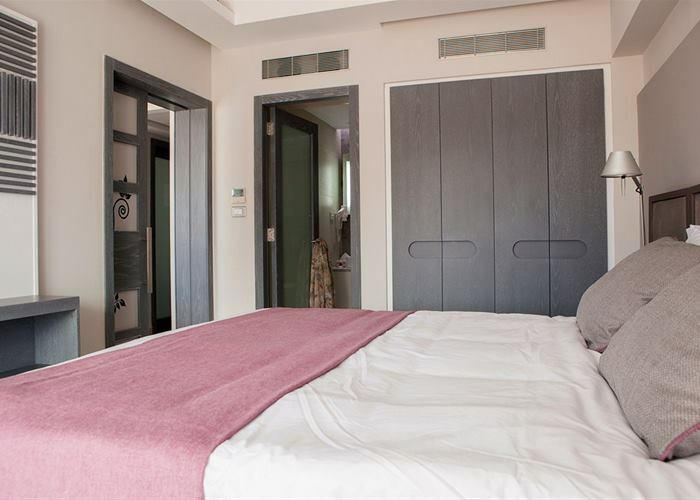 Rooms are tastefully designed in a modern style and are suitable for all holiday makers. All guests residing at Tropical Suites have full access to all facilities and services at Holiday Village Rhodes. These rooms boast a modern touch and have a great practical space for comfortable living on holidays. Rooms sleep up to 2 with a queen sized bed. They come equipped with a mini fridge, LCD TV and individually controlled air conditioning. If you require a little more space on your vacation then we offer upgraded family rooms which benefit of a sliding partition for some extra privacy.